"And I will dwell in the house of the Lord forever." Some commentators understand this text as conveying the image of the Lord graciously hosting David in His house, providing him food at His table, and giving him a room where he can permanently lodge (cf. Gen 43:16–44:3; 2 Sam 9:7; 2 Kgs 4:8-10). 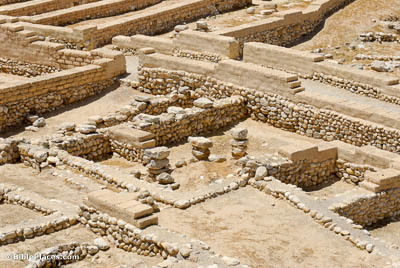 This photograph shows an example of the so-called “four-room” Israelite house, which is better designated as an Israelite pillared building, since the number of rooms varied. 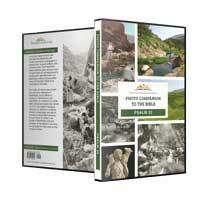 This structure was the typical dwelling to be found throughout the land of Israel during the Iron Age (1200–600 BC). However, other commentators understand “the house of the Lord” here in its more technical meaning. In Scripture, this phrase is usually used in reference to the temple, where God’s glory dwells. To live in the presence of the Lord was the psalmist’s chief desire, and the temple building is often referenced in connection to his desire (cf. Ps 16:11; 27:4; 84:10). This hand-colored American Colony photograph was taken between 1925 and 1946. 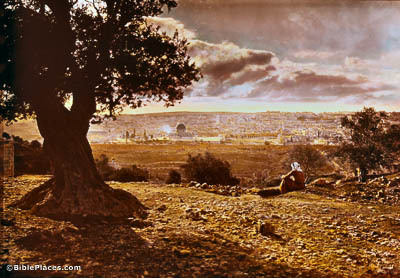 It shows a man looking toward the Temple Mount, which today is dominated by the Dome of the Rock. This model, which is based on the best scholarly research from ancient historical sources and archaeological discoveries, is on display at the Israel Museum in Jerusalem. 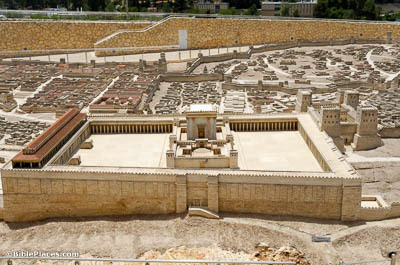 While this temple was destroyed by the Romans in AD 70, Ezekiel 40 –48 gives a detailed description of a future temple where David will one day worship during the reign of his ultimate son and Lord, Jesus Christ. The tabernacle is likewise called “the house of the Lord” in 1 Samuel 1:7. This is the “house” that David himself knew and visited. Sometime during the course of his reign, he began making plans for the construction of a permanent temple in Jerusalem (cf. 2 Sam 7:1-2; 1 Chr 28:11-19). 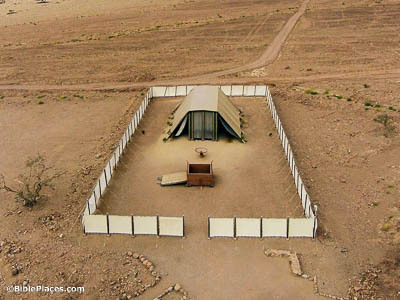 This photograph shows a full-size tabernacle model at Timna Park near Eilat in southern Israel.